My goal since incepting the Neighbors Project has been not merely to photograph in all 50 States, but also to display the resulting work in politically and geographically diverse communities throughout the country. With that in mind, I approached Oklahoma City for potential exhibition opportunities. 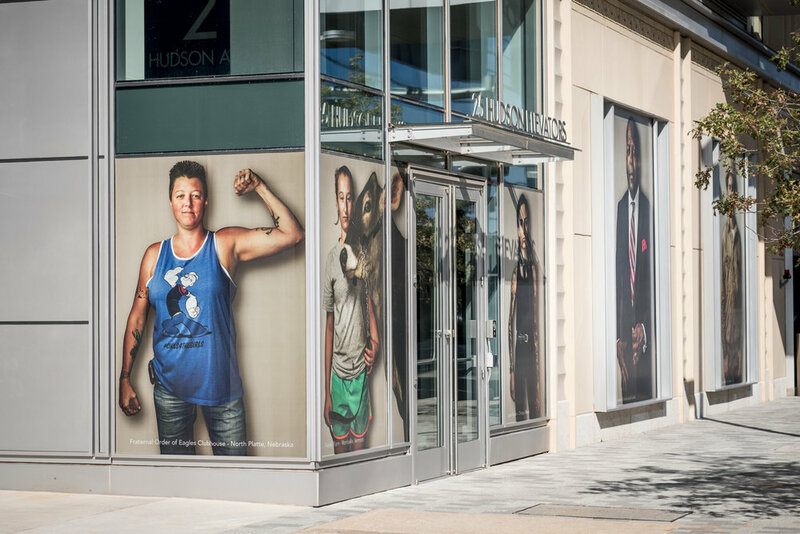 With coordination from the city arts coordinator, I received a commission from the Downtown Oklahoma City Partnership, a business improvement district, to install a selection of portraits from the Neighbors series on the exterior of a newly constructed office building. I printed the 12 foot tall images onto a perforated see-through material so that views from the interior of the building would not be obstructed. The work was installed in October 2018 and will run through April 2019.